Thomas was apprenticed to Dr Edward Liveing Nayland 1833-38 then Barts. L.S.A. 3 May 1838, MRCS 1838. First lived Rushall Wilts after his marriage, then lived at "Stourbank" Nayland which he rented from his uncle Edward Liveing. Described in medical records as; "a most precise man, did a good practice, but very unfit for it as he was very deaf, quite the old fashioned gentleman with his white shirt, tie and stock". Practiced for 27 years in Nayland. Merchant Taylors School Register 1827. Thomas Harrold Fenn, b 15 Dec 1815, s of Robert and Harriett, schoolmaster, Harleigh, Suffolk. The Ipswich Journal Saturday, 31 March 1838. Mr Thomas Harrold Fenn, of Nayland, in this County was admitted a member of the Royal College of Surgeons on Friday the 16th inst. On Thursday evening, the fourth inst., a lecture was delivered by T. H. Fenn Esq., on "The Circulation of the Blood". After some observations on the muscles generally, and the heart as one of them, together with the blood as the fountain of life, the lecturer explained separately the actions of the muscles and ventricles of the heart, as also the attendant tubes, both arterial and venous. The difference between the lesser or pulmonary, and the greater war systematic circulation, was the next elucidated. The valves of the heart were then noticed, and subsequently, the action of the air on the blood in the lungs, shewing its effect in converting venous blood into arterial. Several arguments were adduced to shew that Harvey's discovery of the circulation was founded on fact, viz., that the circulation in the arteries is from the heart, in the veins towards it. An explanation of the system of blood vessels in reptiles and fishes followed, and the lecturer concluded his able and interesting address by elucidating, in the dissection of a bullocks heart, several points before dwelt on. The lecture was illustrated by means of large and well executed drawings. We understand the same gentleman has promised another lecture, on "The Hand and Fore Extremities of Animals". Ref: Ipswich Journal Saturday 13 January 1849. This is a report on the inquest into the death of Robert Bond before Harry Wayman Esq Coroner. Ref: The Suffolk Chronicle; or Weekly General Advertiser & Country Express. Saturaday the 10 June 1843. This reports that George Wenlock, blacksmith, was to shoe a horse for Thomas (Fenn), he is reported to have risen at 5:30 a.m. but at 6 a.m. when the horse was brought to be shod he was found hanged in his kitchen, and medical assistance was to no avail. Ref: extracted from Ipswich Journal Saturday 13 March 1852. Mr Deives was shot by his friend Mr Herbert Wyles while rabbit shooting however "Mr Fenn surgeon Nayland, being sent for, succeeded in extracting several shots from the back part of the man's head, and we are glad to say the patient is doing well"
Ref: Ipswich Journal Saturday 13 May 1854. A carpenter named Jeremiah Cobney, aged 42, cut his throat. "Mr Fenn, surgeon of Nayland was promptly in attendance, and sewed up the frightful wound, but gave no hope of the patient's recovery, as he had completely cut a piece out of his windpipe". Ref: Ipswich Journal Saturday won July 1854. Frederick Jones aged 16 is charged with abusing Emma Osborne, she being between the age of 10 and 12 years." The prisoner pushed her down and committed the abominable offence of which he stood charged. 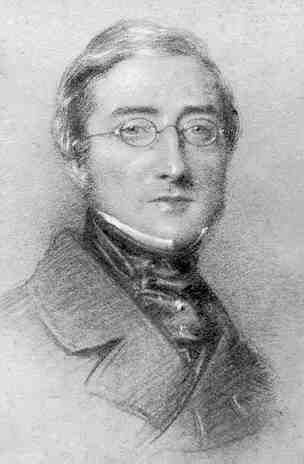 Mr Fenn, surgeon, Stoke by Nayland, who was sent for, described the girls state, which left no doubt as to the commission of the offence"
The Jury found Jones guilty and after a tongue lashing by the magistrate he was sentenced to 18 months prison with hard labour, only his age saved him from a long period of penal servitude. Ref: Ipswich Journal Saturday 6 August 1859. Fatal accident at Stoke by Nayland. On Thursday an inquest was held before J Green Esq deputy coroner at the Angel Inn, Stoke by Nayland, on the body of a child named Henry Scowen aged 2 years. The child was run over by a cart at Hall Farm. Thomas Harrold Fenn, of Nayland, surgeon, deposed: on Tuesday last, about 11 o'clock, I saw the deceased child on the ground at Tendring Hall farm. It was bleeding from the nose and ears, and was quite dead. On examination I found that the skull was fractured from one ear to the other, and above the left ear was the mark of a wheel having passed over. The child's death was no doubt caused by that injury. Verdict of accidental death. Ref: Bury and Norwich Post 19 August 1862. CHILD MURDER-Emma MUSSETT, a married woman, was charged with the wilful murder of her male infant, at Nayland, on the 29th of February. The prisoner is the wife of a labouring man at Nayland, and for some time before the 29th of February had been observed by her neighbours to be in the family way. The Chief Justice, in summing up the evidence produced, said- If the jury believed that the child was born alive, and that the unfortunate prisoner killed it, then whatever might be the consequences they must find her guilty of murder ; if they thought that it was born dead, the would be guilty of the offence of concealing the birth . At the same time they must not find her guilty of concealing the birth, in order to escape the responsibility of finding her guilty of murder. The jury, after a short deliberation , returned a verdict of Wilful Murder against the prisoner. The Chief Justice, in passing sentence, said his duty was most painful, but at the same time plain and simple. It would rest with others, in whose hands the merciful prerogative of the crown was vetted, to take the prisoners case hereafter into consideration; he could only pass upon her the awful sentence of death. The prisoner, who had suffered throughout the proceedings from a fit of trembling, to which, it was said, she was continually subject, heard the dread sentence, which was pronounced in the usual terms, without making any exclamation, and was removed in a kind of stupor. A letter dated 29 April 1870 from his wife Maria to C M Liveing describes his death "Tues evening he looked over Ernest's note books and was very pleased with them and joked with him about his medical knowledge, and in an hour and half afterwards was seized with apoplexy, and died so quietly we did not know when he drew his last breath"
Ipswich Journal Saturday, 23 April 1870. Fenn 13th inst., at Nayland, Colchester, aged 54, Thomas Harrold Fenn, surgeon. Bury and Norwich Post Tuesday, 26 April 1870. The late Mr T.H. Fenn: This village has sustained a heavy loss by the death of one of its worthiest inhabitants, Mr Thomas Harrold Fenn, who has resided here for the last 27 years as a medical practitioner of great skill and ability. The announcement of his death on Wednesday, the 13th inst., cast quite a gloom over the village, and at the funeral on Tuesday last all the shops were closed and a large concourse of people from the village and neighbourhood assembled to show their respect for his memory. His will dated 4 Oct 1869 was proved 11 May 1870 at Bury, it was under L12000. His wife Maria and son Edward were appointed executors. Maria was the sole beneficiary. Fenn Thomas Harrold 11 May 1870: The Will of Thomas Harrold Fenn late of Nayland in the County of Suffolk Surgeon deceased who died on 13 April 1870 at Nayland aforesaid was Proved at Bury St Edmunds by the oaths of Maria Fenn of Nayland aforesaid Widow the Relict and Edward Liveing Fenn of Nayland aforesaid Physician the son the Executors. Thomas's grave in St James Churchyard Nayland reads Thomas Harrold Fenn M.R.C.S. died April 13th 1870 aged 54 "for so he giveth his beloved sleep"
Portrait by Sydney Buck dated 1851 in possession of E L Fenn Auckland 1999. Robert Liveing - Anna Liveing. "Bear House or Stourbank as it was known then, . was sold in 1873 to Dr Henry Drake Palmer by Dr Edward Liveing Fenn, when he left Nayland to join a practice in Richmond Surrey". Many of the family photographs in this record are from an album belonging to Thomas and Maria's family which was lost on the mid 20th C. It was rediscovered intact in the possession of a photo and card collector, David May of Brick Lane Great Horksley who had bought it at the sale of Alston Court in 1968 and Edward L Fenn was gratefully able to purchase it back into the family. Thank you David, who has sadly now died - 2010. 1. Dr Thomas Harrold Fenn: Merchant Taylors School, Thomas, His Watch and Grave, 1815/1870. 2. Census: England, 7 Jun 1841, Rushall WIL. Thomas is described as a surgeon aged 25 not born Wiltshire. Also in the house were Robert Barns aged 25 surgeons assistant not born in Wiltshire and two servants. 3. Census: England, 30 Mar 1851, Nayland SFK. Thomas is recorded as a 35 yr old General Practitioner born at Coddenham. living at Stourbank Nayland with his wife and household comprising six children, a Doctors Assistant, an Apprentice, four servants: Frederick Branch gardener, Maria Griggs nursemaid, Elizabeth Griggs housemaid, Elizabeth Cook cook, and a visitor one Francis Torlesse  a 19 year old woman born in Tasmania of independent means. 5. Letter Dr Thomas Fenn: To Catherine Liveing nee Downing, Dated 13 Apr 1870. A letter to Catherine Mary Liveing. an American or English dockyard all combined to determine her not to go out this year: perhaps also Kate's marriage and departure for China for five years may have given some weight to her decision. I do not know how George will take it but I hope patiently as all the reasons are good ones and not capricious - we ourselves have had scarcely anything to do in the matter and have scarcely ever alluded to it except as regards the baby's sustenance. I feel quite satisfied about Mr Giles and I think Katie's prospects a happy one as they will start very fairly and if health is vouchsafed them the progress is humanly speaking certain and not slow and Mr Giles is eminently qualified to take advantage of opportunities. Thomas always referred to Catherine Mary Liveing as Aunt although she was his wifes first cousin. Origional E L Fenn archive 2005. 6. Nayland surrounding Villages & River Stour, 1885/1900. Courtesy National Library of Scotland.